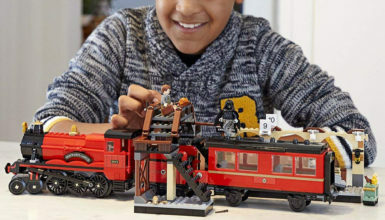 Whether you are a child or only a child at heart, Lego has many sets that are great to invest in. This is especially true for Star Wars fans because there are a number of different sets that any fan would love. There are Lego sets for all of your favorite Star Wars ships, locations, and characters. 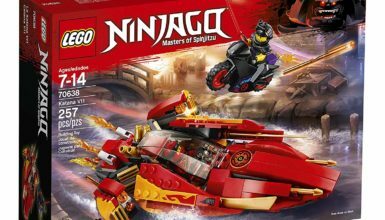 Let’s take a look at eight great options that are worth considering so that the next time that you are looking for a set of Lego’s, you will be able to wow any Star Wars fan. The first Lego Star Wars set that we are going to look at is a model of the Death Star. It is complete with 4016 pieces, and plenty of minifigures that you can display on the Empire’s evil battle station. Overall, the Death Star is about 16 inches tall and 16 inches wide when it is built, so it is plenty big enough to recreate some of your favorite scenes from Episode IV and Episode VI. 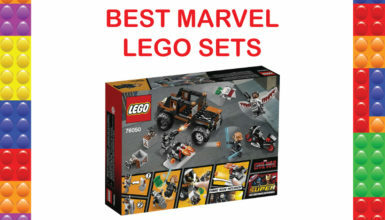 In this set, you will be able to build two laser towers that are movable, a turbo laser that has a seat and spring-loaded shooters, and a laser control room. There is also a trash compactor room, a detention block, an Imperial conference chamber, and Emperor Palpatine’s throne room. There is a Tie fighter that is actually large enough to have Vader inside. Weapons are also included with this set, which includes blasters, lightsabers, pistols, rifles, and more. 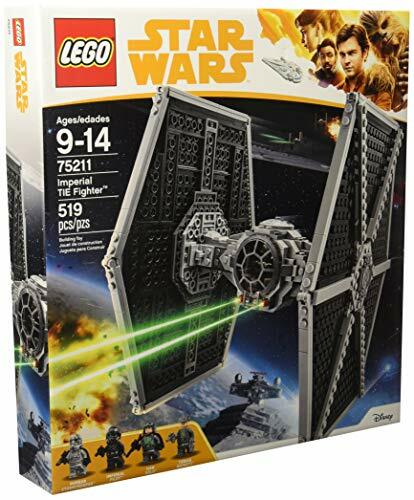 The next Lego Star Wars set that most fans will love is a 691-piece set that features a Y-Wing from the movie Rogue One: A Star Wars Story. 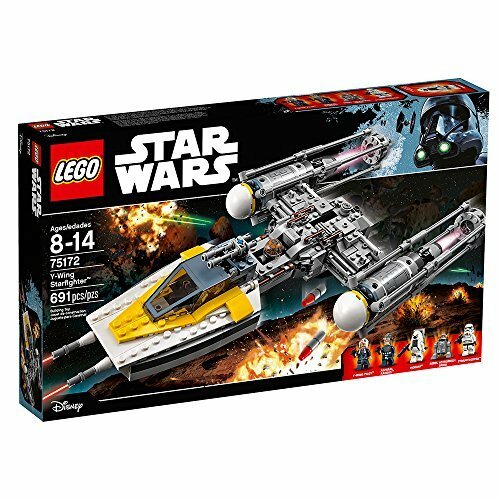 Even though the starfighter is the main part of the set, you will notice that it comes with a rotating gun loader, a turning crane, and extra ammo to use. The fighter stands at about two inches high, 16 inches long, and seven inches wide, so it is not a tiny toy that can easily get lost. 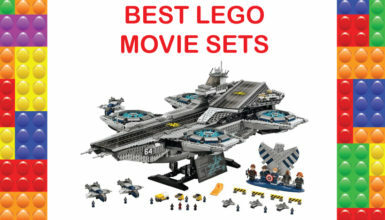 Some of the other features that are included on this set are a turning gear wheel that you can use to drop bombs from the bomb release, a rotating ion cannon, and two spring-loaded shooters. These shooters are located on the front of the ship and can be used when you are playing a rebel character. The cockpit of the fighter does open up, and there is plenty of space for a pilot to seat inside. The landing gear on the fighter is also retractable, which makes it easy to fly it and land it. Included in this set, you will find five unique characters to really immerse yourself in playing with the Y-Wing. The next Star Wars Lego set that we are going to look at is one that is a little bit smaller. 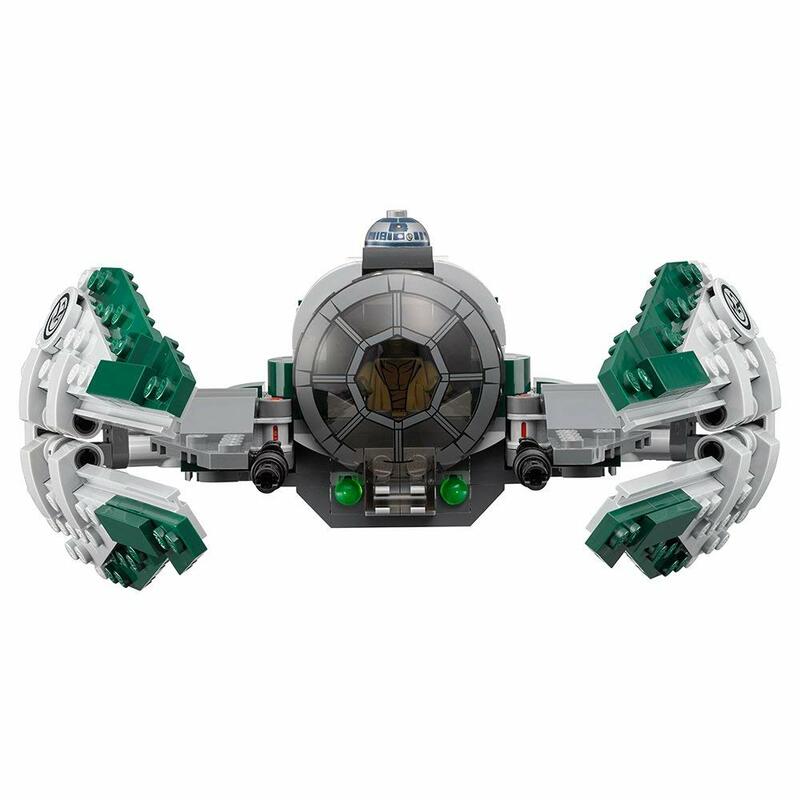 It is designed with about 262 pieces, and it is the design of Yoda’s Jedi Starfighter. Measuring at about two inches tall, five inches long, and seven inches wide, it is a very realistic looking fighter that Yoda would have used during the Clone Wars. This craft has a classic design that features folding wing that you can easily adjust; there are also two laser cannons and spring-loaded shooters on the ship. The fighter is just like it was designed in the movies; it has a cockpit that can be used by Yoda, and an outside cockpit that is ideal for a droid. 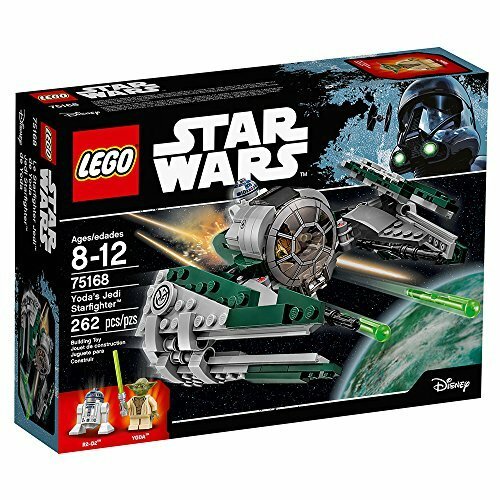 Yoda and R2-D2 come with this set, and it also comes with additional lightsabers that you can exchange out as well as ammo for the cannons on the ship. This gives you the option to fight as the famous Jedi master as you travel to different locations in the galaxy. 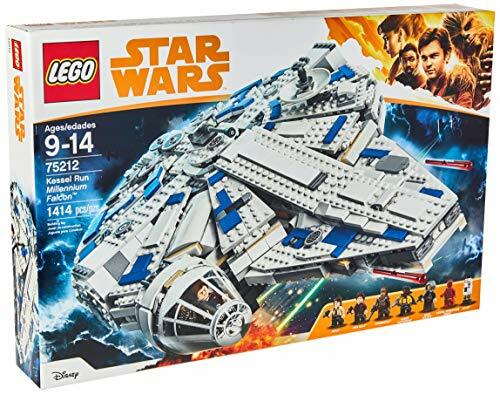 The Millennium Falcon is a great starship that you can craft out of the Lego pieces that are in this set. It is a relatively large ship, which stands at five inches tall, 18 inches long, and 12 inches wide. 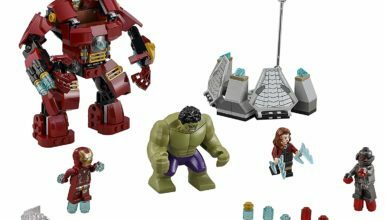 This set has 1,329 pieces, so it may be a challenge to put together for younger fans. This is a ship that was featured in Episode VII, and it is a great option to use to explore the galaxy. The features that are included with this set are removable gunner seats that you can put a character into. There are also secret compartments, a main hold, and two detachable cockpits that you can use. There are also spring-loaded shooters as well as laser turrets on the top and bottom of the ship. In addition, the hulls and the hatch on the ship can open up so that the characters have easy access. There are six mini characters that come with this set, and they all come with weapons that you can use as well. There are pistols, blasters, rifles, and a bowcaster included as well as the six characters and a cute little astromech. 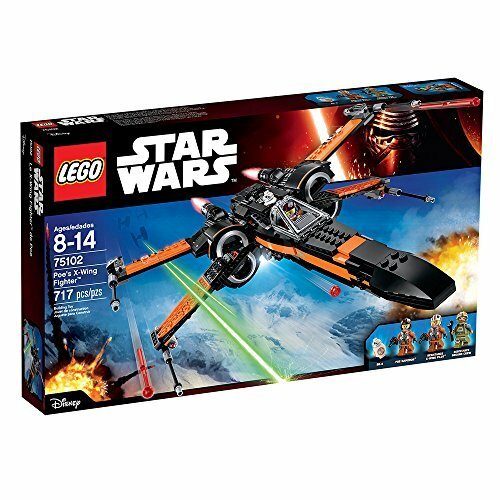 This next Lego Star Wars set is one that is designed to build Poe Dameron’s famous X-Wing fighter. This is a fighter that is seen in Episode VII. The fighter is not very large, but it is identical to the fighter from the movie. It is four inches high, 12 inches wide, and 14 inches long. When the wings are closed, the fighter is a bit smaller, but it is still over three inches tall. 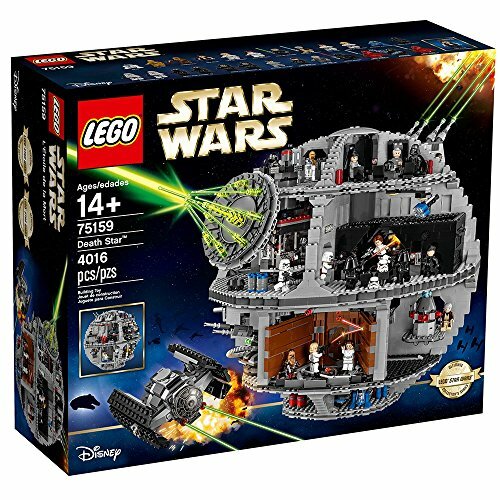 In total, this is a set that has 717 pieces, so it should not be too difficult to manage to put it together. This starfighter has a lot of features that will be usable as well including four spring-loaded shooters and two stud shooters. The fighter has wings that open up and close, a cockpit for a minifigurine character, and a cockpit that is designed for an astromech droid to use. The landing gear for the fighter can also be retracted. When you are at the movie Solo: A Star Wars Story, you will see plenty of TIE fighters when the members of the Imperial army are attacking. This set is designed to create this ship out of 519 pieces. The Tie fighter is designed to be about nine inches tall, seven inches wide, and seven inches long. The ship looks complicated to put together, but it is not all that tough. It comes with an access shaft and a cockpit that opens up so that the characters that you are playing with can enter the vehicle. It is also designed with spring-loaded shooters that can be fired from the ship as it flies. 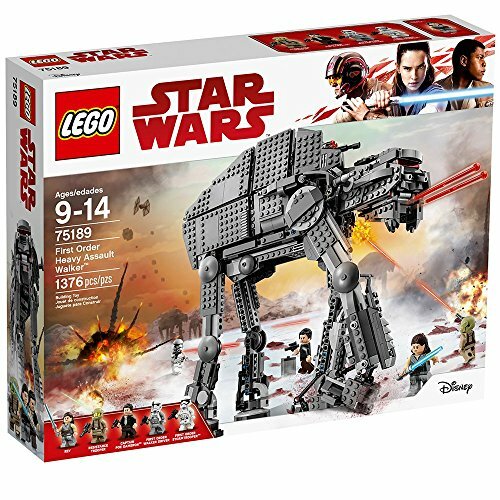 Another great Star Wars Lego set that any fan would enjoy is this Heavy Assault Walker that can be seen in Episode VIII. These vehicles are commonly used by the first order to attack. The entire set is designed to be 13 inches tall and 13 inches long when it is fully built. The width is only four inches. This is an excellent set because both the walker and the character that come with the set can be moved. The legs can be positioned in any way that you want them to be, and the cockpit can easily be opened so that you can reenact realistic scenes from the movie. There are ammo stores on the sides of the legs that open up easily, and there are also weapons that you can use on the vehicle. The spring-loaded shooters on the front of the unit can really shoot, and there is a rapid firing gun that has a handle that you can use to aim your shots. The Final set that we are going to look at in this guide is BB-8. He is an astromech droid that we have all come to love. 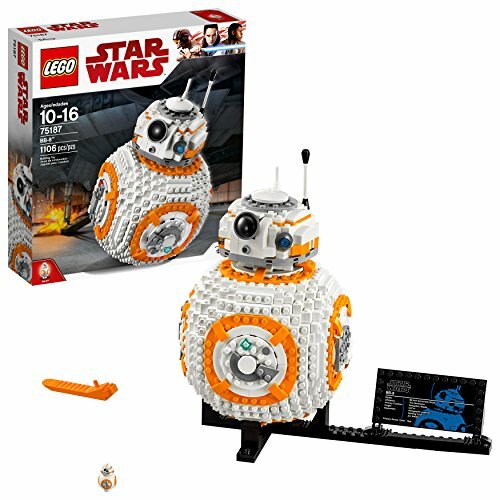 This is not an easy set to put together; in fact, the droid alone is 1106 pieces, which means that it could be difficult for younger enthusiasts. The droid also comes with a stand that you can keep him from rolling on your desk as well as a plaque that tells you a little bit about BB-8. The droid stands at about nine inches tall, five inches wide, and 10 inches long. The droid does not roll very well because of the blockiness of his design, but he does have a head that is designed to move around. This is controlled with the wheel on the side of his body. There is also a hatch on the front of him that holds a welding torch that can be extended. No other characters come with this set, but if you are looking for a desk figure, then this is a great option to consider.